This week we visited the "Rock" for a look at all things STEM! Mrs. Darla Moore is the STEM teacher at Flat Rock Elementary and has been teaching in Anderson Three for 12 years! "Darla always goes above and beyond to help anyone! 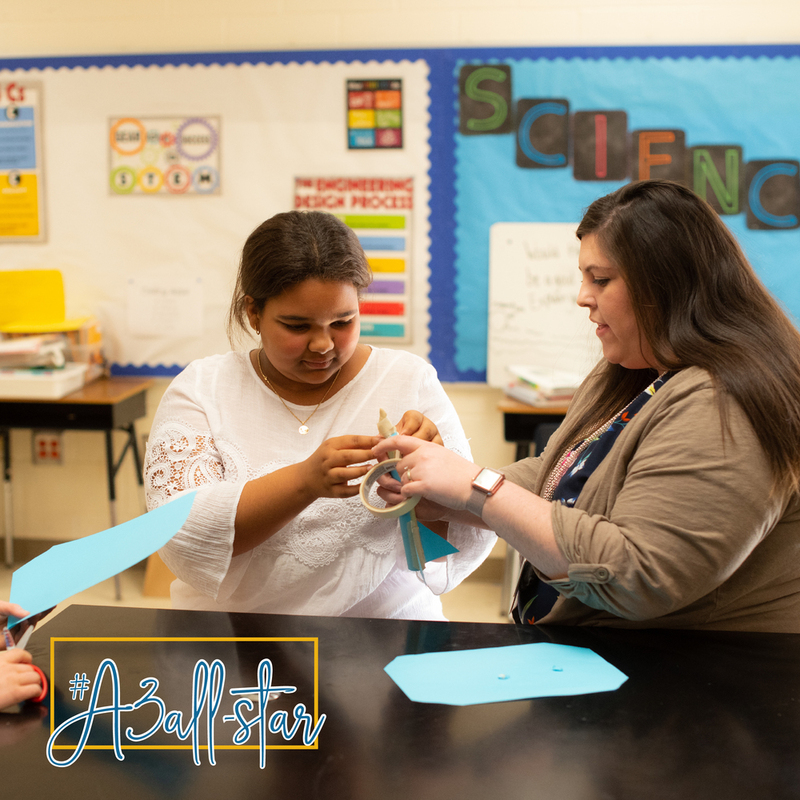 She helps daily to integrate STEM into our classroom, as well as, organizing STEAM nights, planning field trips, and being a friend to everyone." "I love seeing our students become successful in new areas such as engineering and coding. My absolute favorite part of my job is when a student, who has had a challenging time completing a task, is successful at last! There is nothing better than hearing the squeals of success coming from a student after putting so much hard work into a project.."
"I was born and raised in Iva. I am married to my high school sweetheart, Justin. We are very proud of our three children: Addie Jo, Jackson Ray, and Mason. We live in Starr and are actively involved in our church and the Starr Athletic Association. Our family is proud of our community and happy to serve where we live." "Growing up, I was an avid collector of all things Shirley Temple. I own all of the movies she's ever made." Thank you, Mrs. Moore, for everything you do for the students of Flat Rock Elementary School!